Filling out a form is hard. Its just a lousy address. That is all it would have taken to get on the ballot; using his correct address. 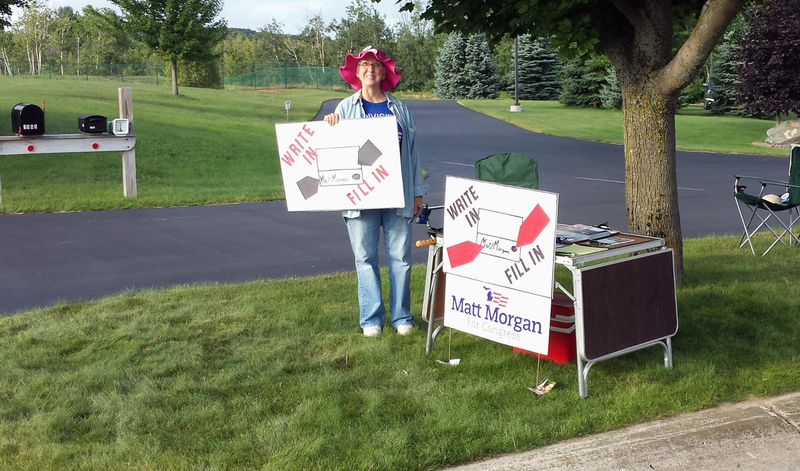 Instead Matt Morgan, who apparently aspires to be one more representative of the disaster known as the Democrat party in Congress, failed at the mere task of properly gaining ballot access. Aside from the institutional failure of socialist ideology, the Democrat party has had it’s own trickle down of success. The bench is thin, and the possibility of getting a real live veteran (Morgan) who actually believes in redistribution, cultural denigration, and murdering the unborn has them ..energized. This photo represents the full out effort of the local and state Democrats to drag him over and onto the November ballot. This is duplicated throughout the district at each polling place complete with nearby Subaru with a ‘Bernie’ bumper sticker.